Despite being surrounded by states experiencing various degrees of religious/political turmoil, Kazakhstan’s independence era has so far been marked by the relative absence of radical trends in Islam. Moderate religious traditions, the influence of Soviet secularism and the presence of a large Orthodox Christian population have all played a part in the general absence of radical Islam in Kazakhstan. Since the events of 9/11, however, there have been warnings from within the Kazakhstan government of growing Islamic radicalism, especially in the south of the country, which has a substantial Uzbek population. Islam penetrated Kazakhstan’s southern region in the 9th and 10th centuries, but did not spread to the northern nomads until the 18th and 19th centuries. Russia encouraged the work of Tatar missionaries as a means of ‘civilizing’ the nomads. A reversal of this policy in late Tsarist times began a period of religious repression that lasted down to the collapse of the Soviet Union. In relative isolation the Kazakhs developed a very localized brand of Islam that is strongly flavoured by native customs and traditions. Like most successful religions, Islam has proven remarkably adaptable to local situations and traditions. This is due, in part, to the lack of centralized control so that the concept of what constitutes Islam draws not only on the Koran, but also from the consensus (ijma) of local scholars. It is this tendency towards innovation (bid’a) that the Islamist reformers seek to correct through the application of a narrow interpretation of Islamic scripture that is not subject to regional readings and understanding. Many of these reformers are inaccurately referred to as “Wahhabis,” though they are better described as “Salafists” in that they call for a return to the ways of the salaf, the pious ancestors who lived at the time of Muhammad and the first four Caliphs. With their rejection of secularism and even most types of Islam, the Salafist movement is frequently cited as a threat to the governments of Central Asia, including Kazakhstan. In dealing with the growth of Salafist movements Kazakhstan has adopted the language used throughout the rest of the former Soviet states, warning of the ‘Wahhabi’ threat. Wahhabi is a popular catch-all term that implies Saudi inspiration and direction of all types of Islamic reform in Central Asia and the Caucasus. The term has become inextricably linked with religious violence in the popular imagination, though in practice it may be applied to almost anyone involved in Islamic worship outside of the official structures. 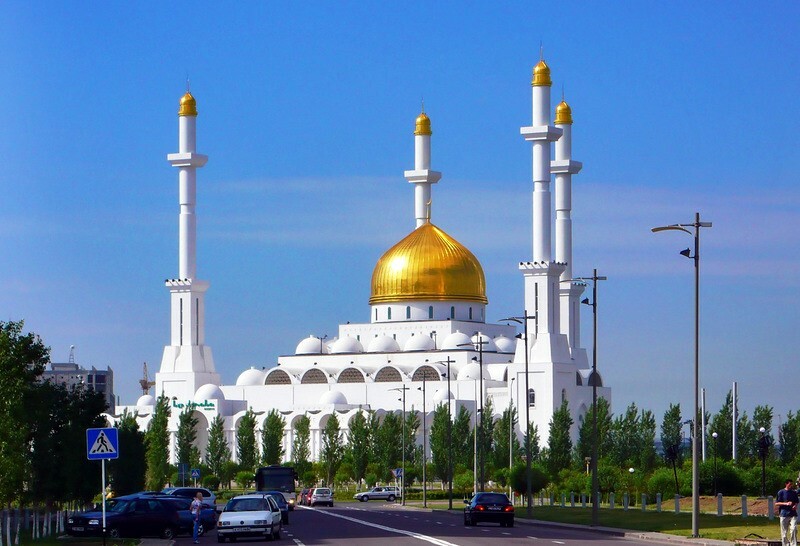 In 1990 the establishment of the Spiritual Board for the Muslims of Kazakhstan (DUMK) returned control of official Islamic structures to the Kazakhs. This was done in anticipation of a sudden growth of interest in Islam as Soviet ideology passed into history. The further creation of a Higher Islamic Institute offered a chance for Islamic education in Kazakhstan. Recently the Kazakh government has identified the southern regions of Shymkent, Kentau and Turkistan as areas of growing Islamic radicalism. Shymkent is home to most of Kazakhstan’s Uzbek minority, who are increasingly viewed as a channel for Islamic radicalism. Islamic communities that fail to register with the authorities risk being labeled as ‘Wahhabis’. New laws on religious activity seek to re-establish state control of Islam, using the threat of religious radicalism as justification. Missionaries will have to register with the government, the result of a lengthy trial of two Arab teachers who began to agitate for the restoration of the Caliphate after their arrival in Kazakhstan. The republic’s small Uyghur minority also remains suspect due to the insurgency in the Uyghur homeland in China’s western province of Xinjiang, or East Turkistan as it is known to the Uyghur nationalists. Kazakhstan has endured great pressure from China to crack down on Uyghur groups suspected of aiding the insurgency. Kazakhstan is unique among the Central Asian states for its sizable Russian Orthodox minority. The government has resolutely stood behind official secularism in an effort to stem the outflow of ethnic Russians from the republic. Moderate religious leaders have managed to maintain a sense of harmony between the faiths, a situation the government would like to preserve. Islamist propaganda in Central Asia is frequently anti-Christian, but the choicest invective is always saved for the Jews, who are held responsible for many of the region’s ills despite having an insignificant presence in the area. Shortly after 9/11 Uzbekistan became the main beneficiary of American largesse after offering nearly unrestricted use of several former Soviet bases. The Karimov regime has been immensely strengthened through its close cooperation with the American military. The result was an increased antagonism within the Kazakh government towards Uzbek leaders they feet had become dismissive of Kazakhstan’s regional concerns. In 2002 important steps were taken to improve relations with Uzbekistan. The long festering border disagreements were finally resolved and Kazakhstan returned two Uzbek fugitives who were wanted in connection with the 1999 Tashkent bombings. Military aid from the U.S. has now begun to flow to Kazakhstan, initially in the form of much-needed high-tech equipment for the border guards. The conclusion of a new five-year defence cooperation plan between the U.S. and Kazakhstan gives Kazakhstan access to increased military aid, including helicopters. Both the US and France have offered assistance in turning Kazakhstan’s defence forces into a professional army ready to undertake peacekeeping and anti-terrorism activities. Astana has also grown closer to NATO after having been a member of NATO’s Partnership for Peace since 1994. In talks with NATO last summer, Nazarbayev was reportedly seeking greater military aid and training. For many Kazakhs the subsequent conduct of the Afghanistan campaign dulled the attraction of a close alliance with the United States, but there are still many who argue the economic and strategic benefits of opening Kazakhstan to the American military. Opposition politicians urged the government to condemn the American invasion of Iraq, but such efforts found little popular support, as most Kazakhs had little sympathy for the Baghdad regime. More covert attempts by the Islamists to rouse anti-American indignation have not met with any more success. The main Islamist challenge to the Kazakh government comes from the Hizb ut-Tahrir, a Salafist movement founded by diaspora Palestinians in 1952. Though the movement has members throughout North Africa, Great Britain and the Middle East, the party only came into its own in Uzbekistan in the latter half of the 1990s. Compared to the violence of the Islamic Movement of Uzbekistan, the movement appeared to offer a peaceful path to the establishment of an Islamic state. Highly secretive, the movement adopted the cell structure usually found in terrorist movements in order to protect its leaders and organization. The party’s leaders oppose both Sufi and Shi’ite interpretations of Islam, seeking a return to the ‘pure Islam’ of the ‘Righteous Caliphs’ who followed Muhammad. In recent years the movement has spread into Kyrgyzstan and Tajikistan, and there are reports of efforts to establish a foundation in southern Kazakhstan. Hizb ut-Tahrir regards it as obligatory for every Muslim to work towards the re-establishment of the Islamic Caliphate. According to the movement, Islamic rule has ceased to exist since the abolition of the Caliphate in 1924. No system but Islam is suitable for government over Muslims, and no system of law but Shari’a is permissible. It is haram (forbidden) for the Muslim states to seek the protection of America, Britain, ‘or other kufr states’. Also forbidden is the participation of Central Asian armies in military maneuvers with Western forces (such as in NATO’s Partnership for Peace exercises). Since the establishment of US bases in Central Asia, the Hizb ut-Tahrir has accused the region’s leaders of turning their states into ‘US colonies’. Only a handful of Hizb ut-Tahrir activists have been arrested in southern Kazakhstan in the last couple of years, and there have been no reports of religious violence despite police reports of arms seizures. In the most recent cases, the Kazakh language pamphlets have criticized American and British activities in Iraq, together with the usual calls for the re-establishment of the Caliphate. Despite the unease of Kazakh authorities, there is little resemblance between the relative calm that prevails in south Kazakhstan and the growing religious/political turmoil of Uzbekistan and southern Kyrgyzstan. The distribution of leaflets to a largely indifferent Kazakh populace hardly represents an immediate threat to the Kazakh regime. The level of religious/political dissent is largely in the hands of the government as it deals with accusations of corruption in the distribution of oil revenues and issues of political succession surrounding the leadership of President Nazarbayev. Long active in Uzbekistan, Hizb ut-Tahrir propagandists have been extremely busy in southern Kyrgyzstan in the last few years. Though the circulation of leaflets seems to be the party’s main weapon Kyrgyz security forces claim to have foiled an attempt to set off 30 bombs throughout Jalalabad. The attempted assassination of the Secretary of the Security Council (Misir Ashirkulov) has also been attributed to the Hizb ut-Tahrir. It is difficult to assess the validity of these claims, but they represent a substantial deviation from the party’s customary tactics. While its secret nature shields the movement’s leaders from arrest and prosecution, it also prevents the development of a well-known and charismatic leadership capable of mobilizing public sentiment. The movement’s ‘paper rebellion’ also fails to satisfy those Islamic militants seeking more direct action. Since 1996 Kazakhstan has participated in a regional security alliance with Russia, China, Kyrgyzstan and Tajikistan. Initially called the Shanghai Five, the group’s transformation in 1991 to the Shanghai Cooperation Organization coincided with a new emphasis on counter-terrorism activities. The organization conducted anti-terrorism exercises in Kazakhstan and Xinjiang last August, demonstrating a spirit of cooperation amongst the member countries in the face of a perceived threat from militant Islam. Kazakhstan is the only member state of the SCO not to have experienced armed conflict with Islamic radicals or Muslim nationalists, but the exercises prove the government’s concern with the possibility. The SCO has in large part taken its lead from the US in its rhetoric and the intensity with which ‘Islamic’ threats are dealt with. Soon after George Bush revealed the existence of ‘evil-doers’ in the world, the SCO began to refer to its war with ‘evil forces’. SCO members have closely observed the overwhelming force the US has brought to bear on Muslim nations identified as a threat to American interests. There is a feeling among these states that the ‘war on terrorism’ represents an opportunity to deal with political and religious dissent free of the usual criticism of human rights abuses. In the years preceding 9/11, Kazakhstan displayed little interest in the fighting against the guerrilla army of the Islamic Movement of Uzbekistan. Though the conflict had spread to Kyrgystan, the Kazakhstan government preferred to remain aloof from its neighbours’ problems. Since then, however, the regime has moved much closer to the concerns of its SCO partners, which by happenstance have become nearly identical to the interests of the United States and its allies in the ‘War on Terrorism’. The crash in oil prices expected once the U.S. took control of the Iraqi oilfields has not materialized, sparing Kazakhstan’s oil-reliant economy from a severe shock, as well as depriving the Islamists of an opportunity to exploit economic dissatisfaction as a source of anti-government agitation. I would suggest that only some type of internal crisis could create the conditions under which a militant Salafist-type Islamic movement might achieve a significant presence in Kazakhstan. The special conditions of Kazakhstan’s ethnic composition and the staggered and very local development of Islamic practice in the republic almost preclude such a possibility. Having received Islam mostly through the work of Tatar missionaries, the Kazakhs may not feel a special need to look towards the Arab world for spiritual guidance, nor do they feel especially inspired by extremist elements in Uzbekistan. 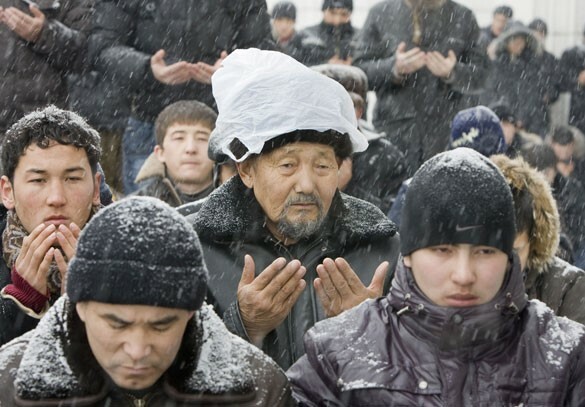 Even non-official Islam tends to be inextricably tied to Kazakh nationalism. 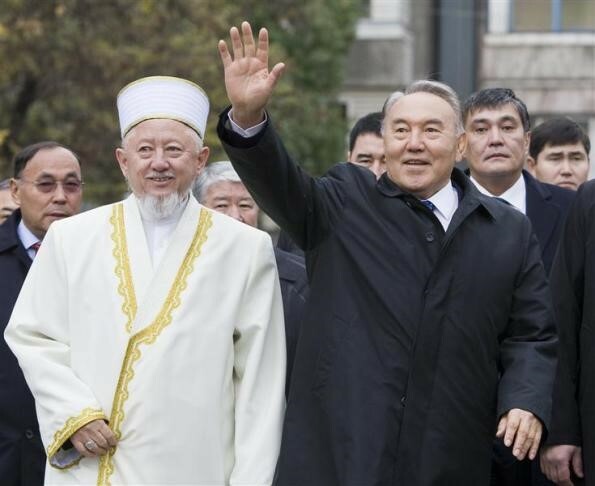 In this sense there is an eagerness in Kazakhstan to define and develop Kazakh Islam free of external influence. A complicating factor is general displeasure with the leadership of the DUMK, which opens the possibility for foreign-influenced unofficial Islam to increase its following in Kazakhstan. For the moment though, pan-Islamic movements hold little appeal for Kazakhs. Despite the emergence of separatist tendencies in the ethnic Russian north, the Nazarbayev government has succeeded in avoiding the ethnic-based conflict that has plagued other post-Soviet states in Central Asia and the Caucasus. For the moment Islam represents one of several competing identities in creating the post-Soviet national character of the republic. The government’s efforts to create a civil Kazakh identity that would subdue the importance of religion are inhibited to some extent by the regime’s failure to engage the citizenry on a political level. Without the development of democratic norms and a viable opposition the independent structures of radical Islam may provide an alternative for political expression. In this context the centralization of executive powers in recent years by President Nazarbayev is not encouraging. A decline in the President’s accountability has been accompanied by allegations of corruption in the state-controlled oil industry, human rights abuses and political repression. These activities all contribute to the attraction of political opposition outside the rather narrow official structures. We also have to ask to what extent the Kazakh government feels legitimately threatened by terrorism, and to what extent it is manipulating its wealthier security partners to improve its own security structure and keep apace with Uzbekistan’s improved strategic position. Western military assistance provided in the name of anti-terrorism operations can also help Kazakhstan to strengthen its defensive capabilities in the all-important and much-contested Caspian Sea region. Russia also appears eager to inflate the threat from radical Islam, allowing it to justify its actions in the Caucasus while bringing it closer to its “counter-terrorism” partners in Central Asia. President Putin speaks constantly of the threat posed to Russia by the creation of a revived Islamic caliphate encompassing Central Asia, the Caucasus and much of Russia. In the post 9/11 world such fantasies have found a receptive audience. From a military point of view, the presence of American air-bases and a newly energized Shanghai Cooperation Organization would rule out the possibility of an IMU style guerrilla movement operating within Kazakhstan. The republic is also favoured by geography in this sense; guerrillas cannot operate in the open steppes without air cover. IMU operations were always restricted to the mountains of Central Asia, likewise the Chechen resistance, which ranges widely through the southern mountains, but operates only with great difficulty in the open plains of the north. If small radical groups found it impossible to proselytize peacefully they could turn to terrorism as a means of expressing their grievances, though this would surely alienate the vast majority of the Kazakh people. Kazakhstan has an opportunity to avoid much of the religiously inspired conflict that has engulfed its neighbours in Central Asia, but ultimately much will depend on the ability of the government to create opportunities for political expression alongside an equitable and sustainable development based on growing petroleum revenues.